Big Kindle Boogie Just Got Bigger! On Feb. 1-2, bestselling thriller authors J.A. 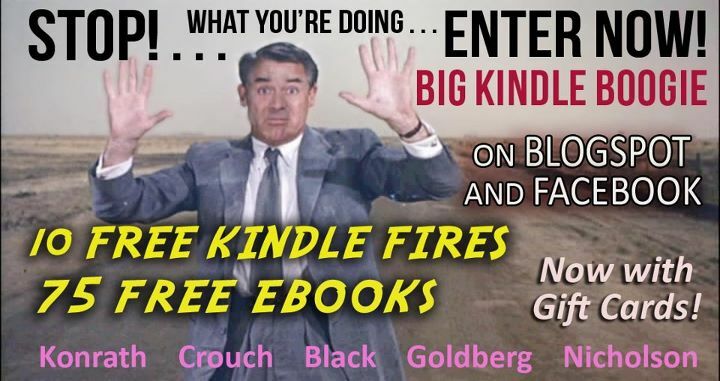 Konrath, Blake Crouch, Scott Nicholson, Lee Goldberg, and Scott Nicholson are making 75 Kindle books free on Amazon. They are also making a $500 donation to the local library of one Kindle Fire winner. They are also releasing the five-book Ultimate Thriller Box Set for free during the event. Contest is international, no purchase necessary. You can also join the Facebook party at http://www.facebook.com/BigKindleBoogie.